Breaking News: London: Mark Carney, The governor of the Bank of England announced a 0.25% interest rate rise today. Breaking News The Bank of England has raised interest rates by 0.25% to 0.5%. The first rise in 10 years. The move reverses the cut in August of last year – made in the wake of the vote to leave the European Union where the Bank of England did all it could by reducing the to 0.25%. The main losers will be households with a variable rate mortgage. That is 3.7 million households face higher mortgage interest payments after the rise, just before Christmas. The Monetary Policy Committee (MPC) made up of nine members,which sets interest rates, justified the rate increase by pointing to record-low unemployment, resilient consumer confidence and rising global economic growth. Seven out of the nine members voted in favour of higher rates. The main reason for the rise is to manage inflation in the coming months. The MPC believe that growth cannot accelerate much more without causing prices to rise more quickly. The financial markets are indicating two more interest rate increases over the next three years, taking the official rate to 1%. That weaker pound has driven up the costs of imported food, fuel and other goods. The MPC also said that the decision to leave the European Union is having a “noticeable impact” on the economic outlook. The Bank of England has been the weakness in wage growth. While inflation hit 3% in September, wage growth was only 2.1%. Other reasons for the raise come to instil some form of confidence in the market, a gesture of putting your money where your mouth is. Amidst allegations by the city traders that the governor was talking up the the economy but not backing it up. As the analyst and commentators are speculating this interest rate rise provides two options that the bank didn’t have before; firstly, the economy is on the way up, and secondly, they at least have the option of putting the rates down in the future should the worst happen, with Brexit. For months the uncertainty of Brexit has compounded the problems faced by the city, Low rates, low growth and uncertain Brexit negotiations have led to some banks threatening to move staff to Europe. This also provides a signal of strength in Brexit negotiations, a stronger economy will allow for more leverage, as the next two quarters will be largely focused on the divorce bill. 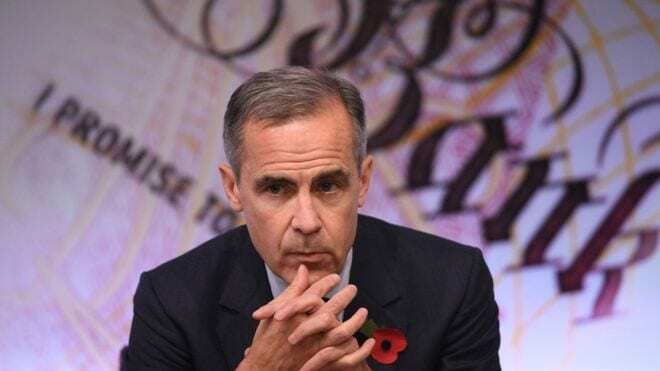 In its Quarterly Inflation Report, released with the announcement on rates, the Bank of England raised it’s growth forecast for this year by 0.2% to 1.5% and also thinks that inflation is likely to peak at 3.2% this month.